Fair Go Casino is a continent of exciting casino games which welcomes you with a lavish bonuses from the very first deposit you make. The brand new casino launched at the beginning of 2017 is tailored for Australian players who can enjoy a plethora of pokies and other casino games provided by one of the industry giants RealTime Gaming. Running on the platform well-known for its stability, Fair Go Casino offers its players some of the most popular games available online which can be played in the national currency. The games at Fair Go Casino are available in instant-play mode, with no need for downloading additional software to access them. The pokie selection is regularly updated, so besides RTG all time favourites, players can also try their luck on the latest releases offering improved graphics and more innovative and rewarding bonus features. Fair Go Casino operates under the licence issued by the Government of Curacao which confirms that the gaming establishment complies with the high industry standard. 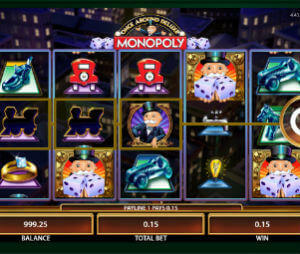 New players who register with Fair Go Casino can take advantage of a generous 5-tier welcome bonus of up to AU$1,000. That’s right, over your first five deposits you can grab up to AU$200 each time you make a payment. You have to deposit at least AU$20 and up to AU$200 and enter the coupon code WELCOME to be redeem this hard to resist offer. To turn free cash into real money players have to meet wagering requirements set at 30x the sum of the deposit plus the bonus, which is the industry average. Fair Go Casino also cares about its regular players by offering them Bonus to Go to boost their bankroll on a daily basis with a 50% reload bonus of up to AU$200. Just provide the coupon code 50TOGO and make a deposit. Wagering requirements are set at 30x. Another offer you can opt for is a 25% Cashback Bonus. To take advantage of this promotion, your balance needs to be AU$1 or less and you should contact the customer support to claim it. Wagering requirements are set at 10x and there is no maximum cashout. Every time you place your real money bet you will collect comp points. To be precise, on every AU$5 bet that you place, you will get 1 comp point. When you collect 100 comp points, you can convert them into real cash. If you wager on the Game of the Month, for the same amount you will get double comp points. In addition, if you make deposits from Monday to Thursday, you can enjoy the Fair Friday promotion with 30 free spins added to your account on the last working day in the week. The coupon code is WEALTHY30 and the minimum deposit you have to make to qualify fro this offer is AU$50. Fair Go Casino uses a unique approach offering players a direct to lobby experience which means that not only that you don’t have to download any additional software, but that there is practically no website. You will directly enter the lobby offering all kinds of games and useful information in one place. The same goes for the mobile version of the casino which can be accessed directly from your mobile browser if you use an Apple or Android smartphone or tablet. The gaming venue is a home to more than 150 casino games developed by RTG. The most extensive library is the Slots section offering highly entertaining RTG titles including the games from the Real Series. Australian people adore pokies and it’s no wonder. Once you start playing them you will soon realise how addictive they can be. Set your win and loss limits and pick from some of the classics like Shark School or Enchanted Garden or you might find more interesting to try out new titles like Sweet 16 or Samba Sunset. Under each title you will easily spot the progressive jackpot amount which can be awarded at random while playing certain games. You can also place your bets on a range of table games including Blackjack variants, Baccarat, Poker versions or specialty games such as European and American Roulette, Keno, Craps and Treasure Tree. An extensive selection of Video Poker variations is also available with more than 50 titles. To make your deposits you can use an array of safe and convenient banking options such as credit cards, e-wallets including Neteller and Skrill and PaySafeCard, a solely prepaid option. Withdrawals can be requested via Neteller, Skrill, Bank Wire and Bitcoin. All your transactions will be fully protected by 128-bit SSL encryption technology so you can enjoy the gameplay instead of worrying about your data and money. With a collection of familiar but never boring casino games provided by RTG offering multiple winning chances, at Fair Go Casino every player has – a fair go. If you opt for this casino, your bankroll will be boosted right from the start and recurring promotions will make you feel more comfortable and help you play longer once you are an existing player. Gamblers from Australia can now join the gaming venue where they can truly feel at home. With its innovative direct to lobby access and mobile-responsive version, Fair Go Casino offers you 24/7 seven entertainment from the comfort of your home or on the move. Customer service agents are available round the clock to help you claim your bonuses or in case of any problem or inconvenience.